As education reporter for the York Daily record in 2005, Lauri Lebo reported on the Kitzmiller vs. Dover Area School District 'Intelligent Design' (ID) trial in Dover, PA. 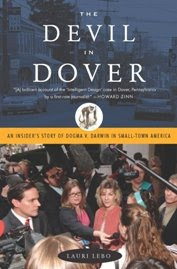 The Devil in Dover is her personal account of the events that unfolded in this small American town. While the story of this trial and the judge's ruling against the inclusion of ID as part of the high school science curriculum is well known, Lebo adds her unique perspective to the corpus of excellent books aobut this trial. Lebo's telling of the story is concise yet takes on the feel of a gripping courtroom drama set in rural America. As a concerned citizen, Lebo depicts her astonishment at willingness of the born-again school board members to utter falshoods while under oath in order to promote the inclusion of ID in the Dover science curriculum. As a touchpoint for the events unfolding in the court room, is her ongoing estranged relationship with her fundamentalist Christian father who insists that those promoting ID were obviously the 'good guys', despite their blatant lying. 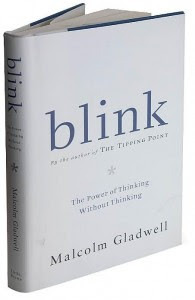 Lebo delves a little bit into the scientific arguments, but spends most of the book focused on the human side of this story, exploring how this episode affected the community, the individuals who brought the suit against the school board, and the board members themselves. It is in her exploration of the personal fallout that Lebo truly demonstrates her unique voice.